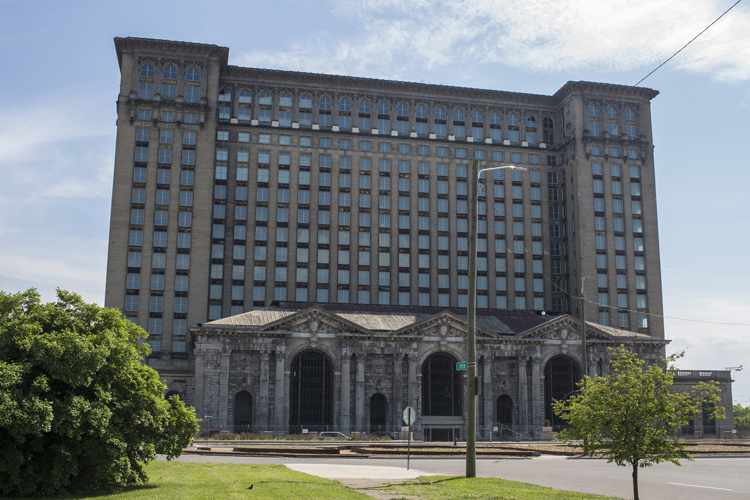 Detroit — This week, Ford began renovation of 105-year-old Michigan Central Station in the historic Corktown neighborhood. In revitalizing this Detroit landmark into the centerpiece of a new campus, Ford said it seeks to shape the future of transportation. The three-phase project begins with winterization of the massive building to dry it out from extensive water damage it sustained over the years and stabilizing the structure. Phase two involves replacing mechanical and electrical systems and restoring exterior masonry. The final phase entails finishing and restoring the interior. Ford plans to return the grand hall of the station to its original grandeur and attract local shops and restaurants in support of a vibrant, inclusive public space for all. In June, Ford acquired the iconic train station and plans to transform it and surrounding properties into a 1.2 million-square-foot innovation campus where Ford and its partners will work on autonomous and electric vehicle businesses, and design urban mobility services and solutions. The project will bring approximately 2,500 Ford employees to Corktown, most from the company’s mobility team, and an additional 2,500 jobs with Ford’s partners and suppliers.